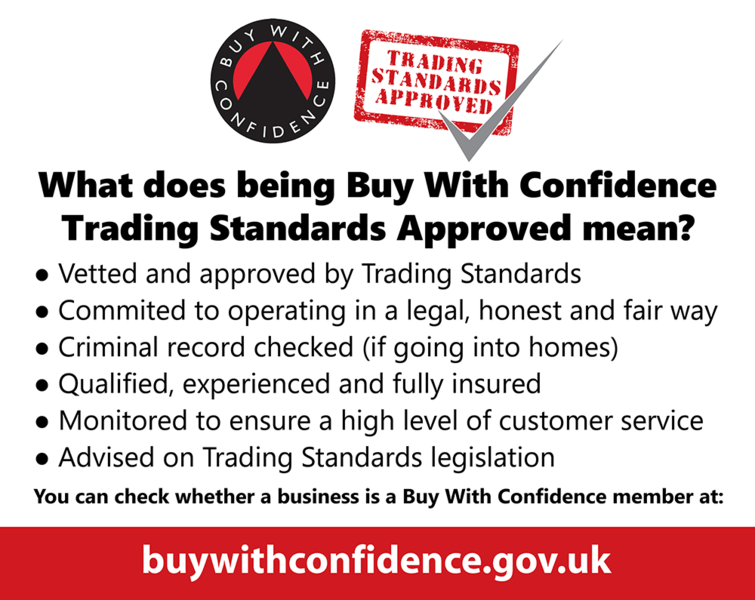 GLOUCESTERSHIRE TRADING STANDARDS "BUY WITH CONFIDENCE" APPROVED TRADER SCHEME. I found Outlook Windows after a google search for gutter clearance. After seeing the Which? 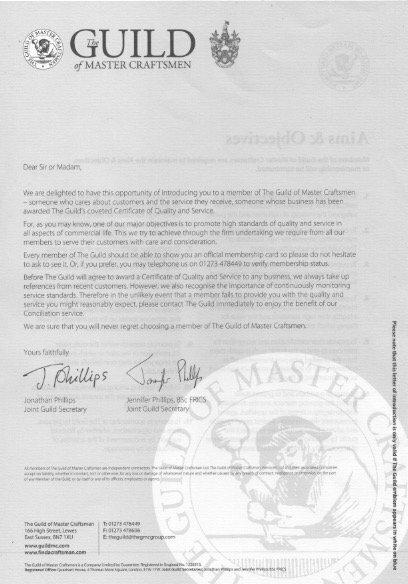 Accreditation I left them a message for a quote 4/4 . 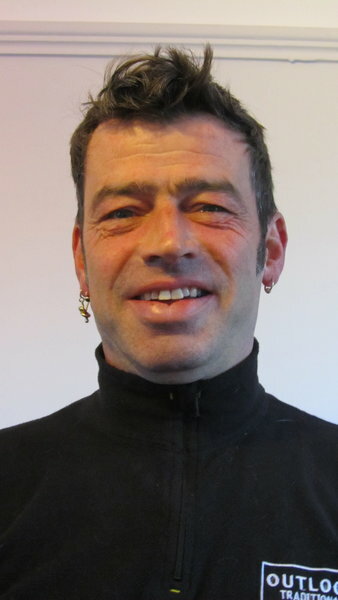 Mark got back to me that morning and popped round (weather was horrible) price was good and informed me of time frame (depending on business) of next day or middle of week after.. Mark arrive following afternoon, set up and just got on with the job. Very friendly, gave me all the information I needed including future prevention. Top service. 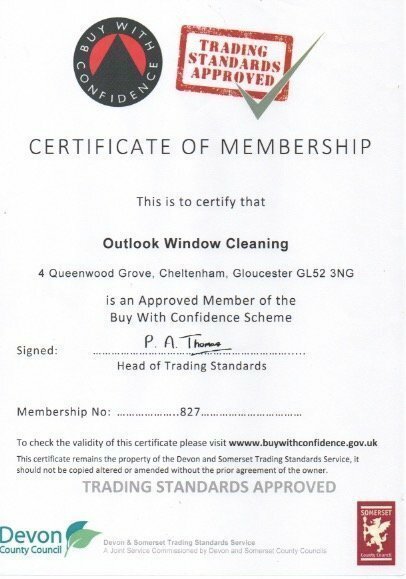 From the moment I first contacted the trader, right through until the job was completed, I was extremely happy with their professionalism and quality of workmanship. 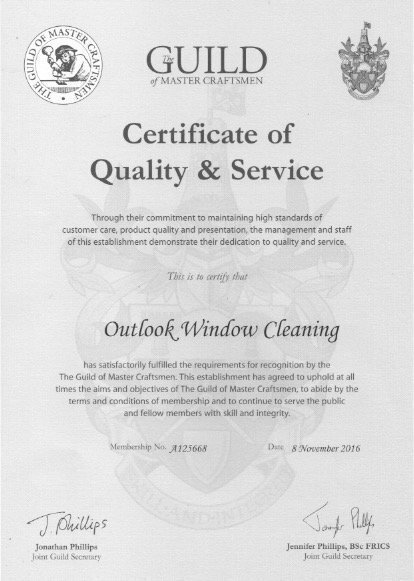 They undertook the clearance and cleaning of gutters, cleaning of conservatory roof, and window-cleaning with no disturbance whatsoever, in quite appalling weather conditions. I will be using them again in the future. Thank you Mark and son. I contacted the trader by email on the 18/2/19 - and had a very quick reply. They came to see me within the hour and were able to clean my outside windows that day. I was completely satisfied with the work done and the price I paid. Also very polite. Job done well, promptly and politely. 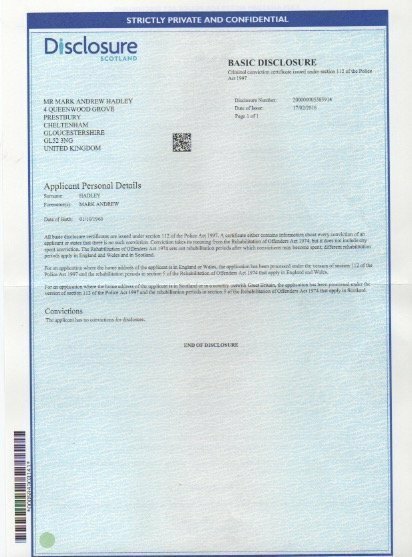 Came when they said they would, full information given, and VAT invoice. I can see clearly now! Mark was recommended by a friend, really pleased she did. Mark and Johnny arrived on time and did a great job cleaning ALL the windows and front door and porch glass, and surround. Now spotlessly clean. Porch area not previously touched by last firm with their pole. Although more expensive than last cleaner, the extra paid was WELL worth it for efficient and friendly service provided. Very pleased. 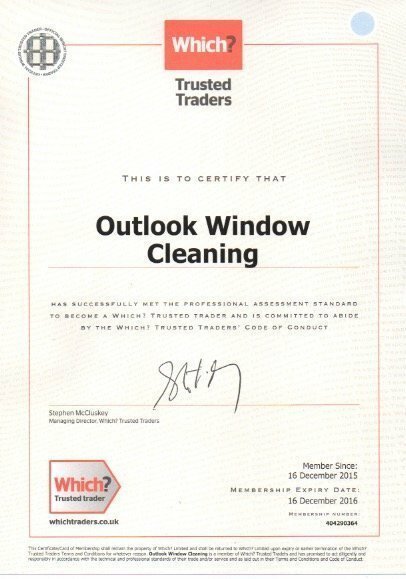 We really appreciate you taking the time to review our work and are very pleased that you we so happy with the end result. I telephoned Mark and left message on answerphone. He replied very quickly, the same evening in fact. Mark came this morning at the exact time that he had promised. This was the first visit. Windows cleaned very well, hand method, no long poles. Very satisfied with results. Price well expensive I thought, so will use the service less frequently to counteract this. Agreed on an eight week visit. It all went well and was a first class job from start to finish. 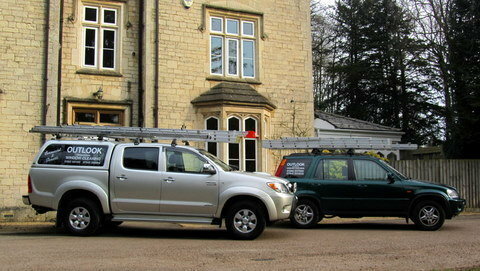 Work carried out on time, as agreed and to a very high standard. Highly recommend their company. Additional gutter cleaning services were offered. Thank you for sending in your review, very much appreciated.